The 2019 Ford Taurus is a stunning example of what modern sedans can really do when designed with care, craftsmanship, and character. Starting at $27,000, the 2019 Taurus is not your average car, it shines in all the categories that matter. With its sturdy body structure, warm cabin, and reliable performance you will always feel right at home on any road, but that’s just the surface. The 2019 Taurus also provides a number of modern touches that take you a step into the future with sleek exterior fixtures, driver-assisting technology, intuitive cabin features, and more power than you will know what to even do with. When the classic nature and refined detailing of the 2019 Taurus come together on the road, nothing seems impossible, and that’s what makes it a truly special vehicle for any driver to have the joy of experiencing for themselves. Whether you dream of making a great impression, discovering your next thrilling adventure, or just getting from point A to point B without a worry in the world, the 2019 Taurus will always be your perfect partner while on the road for many years to come. 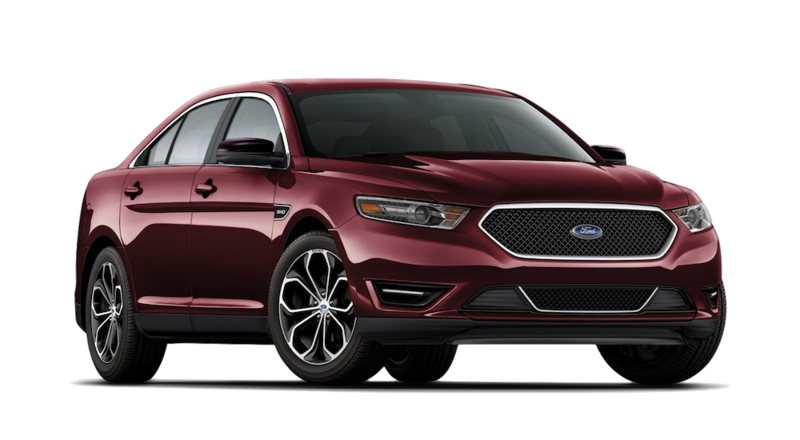 This is also a vehicle option so versatile that everyone can enjoy its potential, whether you are looking for a 2019 Ford Taurus in Cincinnati, OH or anywhere else in this wide world. Basically, the 2019 Ford Taurus is the entire package when it comes to a perfectly balanced sedan that contains both comfort and class. Some drivers falsely believe that modern vehicles have no character, but when it comes to appearance, the 2019 Ford Taurus manages to remove those misconceptions with just one glance. Seamlessly blending the modern flair for minimalist detailing and the classic attention to the sturdy molding of the body, the 2019 Ford Taurus delivers the best of both worlds in one beautifully designed package. The body as a whole is long and sleek with soft curves, but it is buffed up in all the right places to give a dynamic sense of character. The front is like a work of art with its perfect portion and effortless ability to integrate complexity within its detailing. 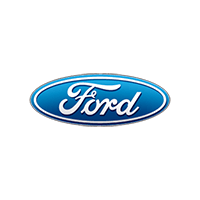 The grille, for example, sporting the Ford logo is eye-catching and bold without question, but upon closer inspection, you will see an intricate honey comb design which elevates its character even more. The headlights also add to the character of the 2019 Taurus with their thick and long design that not only adds to the boldness but the aerodynamic appeal as well. Basically, no matter where you look, the 2019 Taurus manages to show off its striking personality in a way that is both bold and refined, which is beyond impressive for a vehicle of its class. On top of the faultless sculpting, drivers will also get to choose between eight exterior paint colors and two interior patterns. The exterior paints are solid but not too obnoxious in order to allow the 2019 Taurus to really shine on its own through its already appealing craftsmanship. As for the interior options, drivers have the freedom to choose either a lighter more classy style that keeps things refreshing in the cabin or a darker color scheme with a bit more edge. When it comes to these types of choices, it all just depending on personal taste, but no matter what drivers decide, they are guaranteed to drive home in a vehicle with plenty of visual appeal inside and out. While having an appealing exterior is certainly what attracts drivers to a vehicle, it’s the interior appeal that makes them fall in love. The Inside of the 2019 Ford Taurus was specially designed to make drivers feel right at home with its premium comfort and style that is as soft on the eyes as it is to the touch. The look of the cabin can best be described as clean. Each and every element in the cockpit is positioned perfectly for both style and efficiency. This design choice is refreshing for most drivers, as it makes for a seamless driving experience in every situation. Driving should be an experience, not a means to an end, and so the 2019 Taurus offers quality craftsmanship throughout the entire cabin and a plethora of state-of-the-art amenities in order to assure that wherever the road may take you, you can enjoy the journey to its fullest potential. The more you upgrade the cabin, the better your experience will be. Such features as dual-zone climate control, a clear phase audio system by Sony, illuminating ambient lighting, heated and cooled seating, and premiering and unique seating materials are just a few luxurious features available with the 2019 Ford Taurus. A vehicle isn’t worth much if it isn’t able to perform with power and precision, and the 2019 Ford Taurus has plenty. While there are a lot of appealing factors about the capabilities of the 2019 Taurus, the main stars are the engine and driver-assist features. The 2019 Taurus offers two engines to choose from so that you may decide between power and price. The standard engine is a 3.5L Ti-VCT V6 engine that is able to respectably blend performance with efficiency at a great value. This engine offers 288 hp and an EPA rating of 27 mpg highway for an impressive amount of speed and fuel economy. There is an advanced engine option that comes with the 2019 Ford Taurus SHO trim and is a 3.5L Ecoboost V6 engine that always has the power set to stun. By providing 365 horsepower and 350 lb-ft of torque this engine was designed to bring out the full potential of the 2019 Taurus in every way possible. That being said, power means nothing if you don’t know how to handle it, and so that is where the driver-assist technology comes into play. The 2019 Taurus is available in front-wheel drive or all-wheel drive and comes standard with a 6-speed automatic transmission with sport mode and shift-button activation. Additionally, every 2019 Taurus has a stability control system built in for assured safety and smooth handling, but these are just the basics. The 2019 Ford Taurus provides an assortment of intelligent features that will make driving more convenient by assisting in some of the more difficult maneuvers such as reversing, monitoring the dreaded blind spot, changing lanes, and getting in and out of parking spaces. The 2019 Ford Taurus was designed to be both powerful and keep driving simple in order to make it more fun. The 2019 Ford Taurus is available in four unique trim levels that will allow drivers the freedom to get exactly what they want without paying a cent more than they must. Depending on how much a driver is willing to spend and how much they require out of their daily driver, there will be a trim level that will satisfy those needs. The standard trim that starts at $27,800 is the 2019 Ford Taurus SE that comes standard with the 3.5LTi-VCT V6 engine, keyless entry, Ford’s signature SYNC system, a stability control system, and a rearview camera. The next level trim that starts at just over $30,000 is the 2019 Ford Taurus SEL that adds SiriusXM satellite radio, a leather steering wheel, dual zone temperature controls, and a reverse sensing system to the already plentiful SE trim. The third time level that starts at $37,310 is the 2019 Ford Taurus Limited that improves upon everything with a more responsive SYNC 3 infotainment system, heated and ventilated leather seating, and convenient push-button start. The last and highest level trim that starts at $42,975 is the 2019 Ford Taurus SHO which boosts the engine, the lights, the seating, and even manages to give everything a more sporty feel with a stronger suspension. No matter which 2019 Ford Taurus you chose, the results will be the same, undeniable satisfaction that will last for years to come. 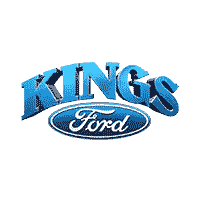 When it comes to the vehicles and service you will receive at Kings Ford, it all comes down to respect and reliability. To us respect is all about listening to a driver's wants and needs, giving them honest and transparent information, and always keeping a positive attitude the never becomes too pushy or laid back. Reliability, on the other hand, is all about how we deliver on those wants and needs. We do everything we possibly can to assure your satisfaction including creating customized service plans, keeping our deals refreshing, shortening the negotiation process, and making sure all of our staff always remains informed in everything from our inventory to what is going on in the automotive world as a whole. We at Kings Ford take pride in what we do for our automotive community, and we hope that through our respect and reliability, we can make automotive shopping something drivers can finally be excited about.